Not yet listed, but should be available on-line from these stockists: Eshop.Owl, Hannants and Modelimex. 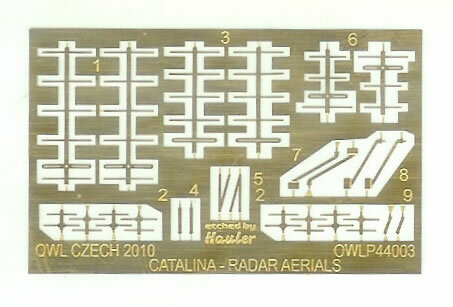 Ideal for PBY Catalina dioramas, or in the case of the radar set for simply refining a finished model. Probably the most widely used flying boat and amphibian of WW2, the PBY Catalina continued to serve with a number of air arms and civil operators post-war. Always a popular modelling subject, Airfix, Revell and Academy have all issued 1/72 kits. 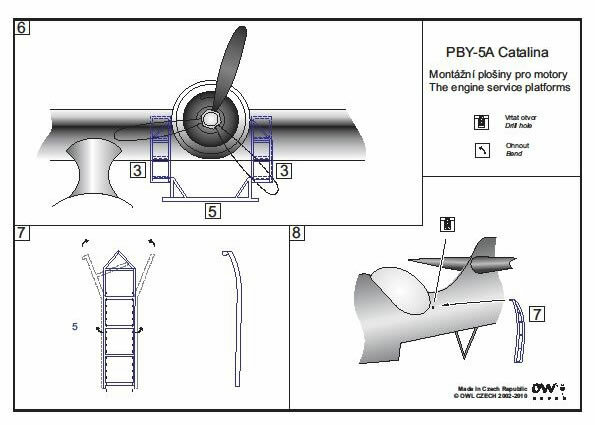 Airfix kited just the PBY5A, but Revell and Academy have offered several different versions, and the latter’s are regarded the best by most. 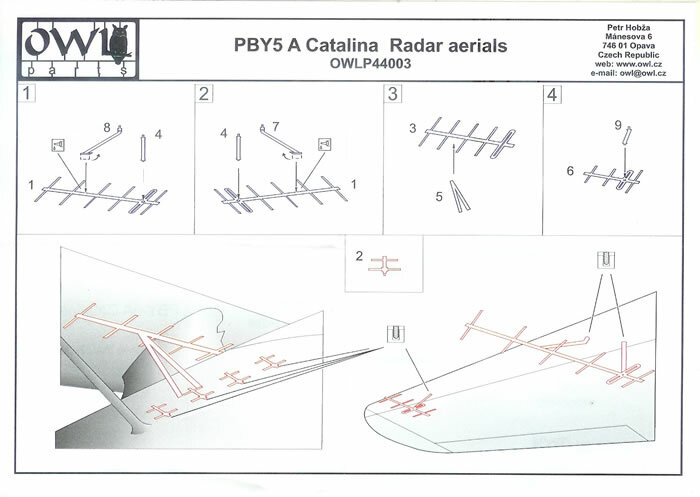 Owl as a brand is probably best known for their range of decals and detail accessories, with a particular emphasis on Luftwaffe night fighter subjects. 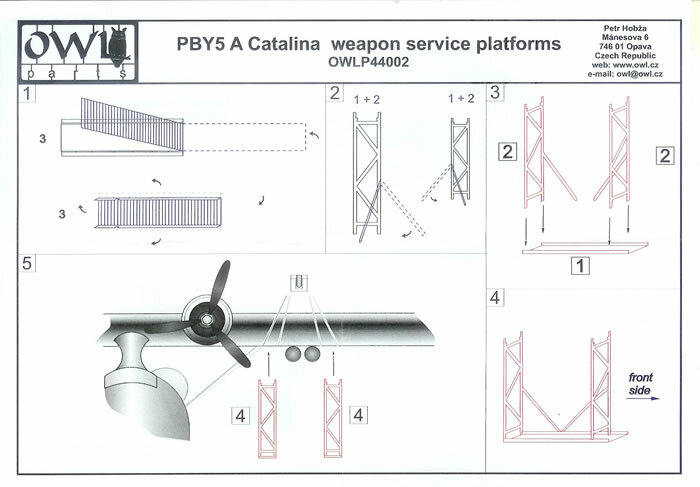 These sets however are for the PBY and include an engine-servicing platform, weapon-servicing platform and radar aerials. All three sets come with the PE fret bagged on its own, and this, a card stiffener, brand header and separate instructions are then enclosed by an outer zip-lock bag (although I understand that Owl is changing to blister-pack type packaging in the future). 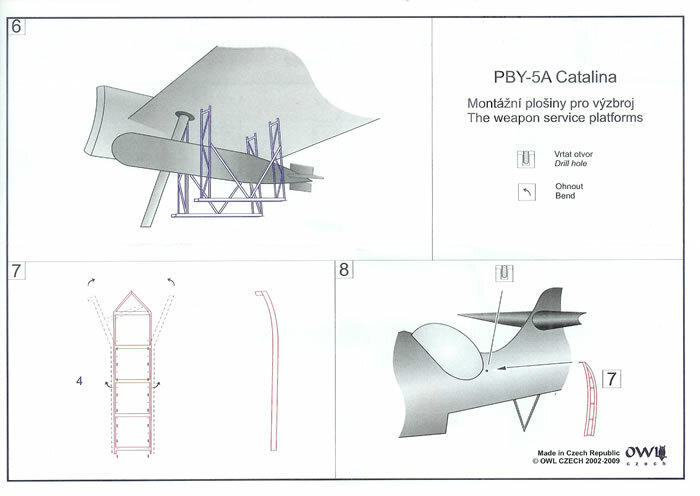 The instructions are well drawn and have English and Czech text where required. 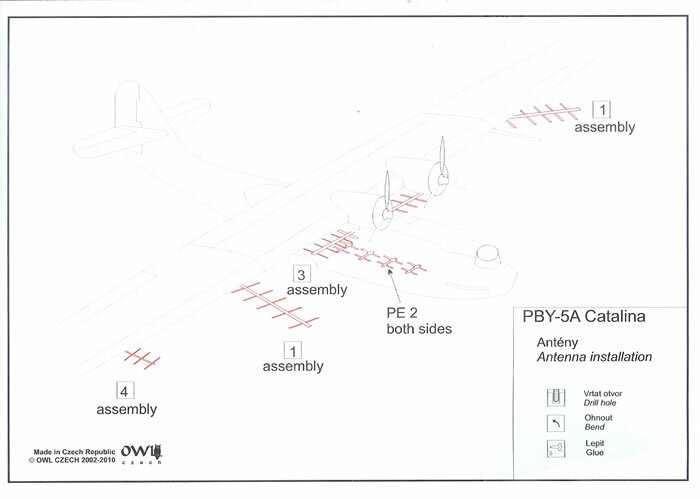 Interestingly all three sets are listed as being for the PBY5A, yet I would think they would suit pure flying-boats as well as versions other than just the 5 series PBY’s. The parts are well formed and seem straightforward to fold up and construct. Care will be needed removing them from the fret as some parts are very thin. 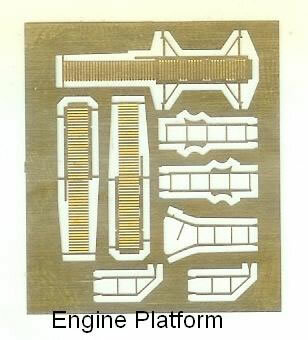 I have looked at photos of the engine servicing platforms and they seem to use thin steel or aluminium tubing. With this in mind, some may want to “beef up” the PE struts with some Mr Surfacer or similar, as the PE struts are obviously flat in section. Alternatively, the PE struts could be used as a pattern for constructing fine wire or stretched-sprue struts for use with the PE platform decking. However, the tubular struts look to be very narrow in photos, so I think most will be happy with the PE struts as they are after a lick of thickening primer and paint. 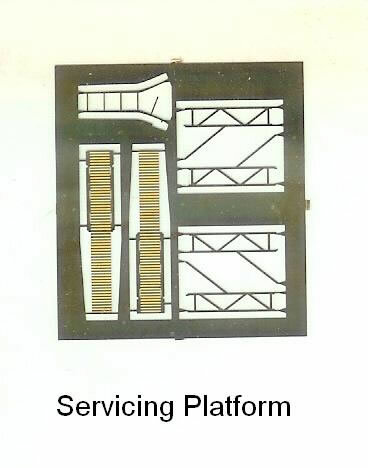 The modeller will need to check references for the colour of the servicing platforms. The black and white photos I have seen suggest that the platforms were left in bare metal, and the small boarding ladder that attaches to the rear fuselage looked to be painted black or some other dark colour. Of course this is a guess, and no doubt colours may have varied amongst units. The radar set is the one with the most appeal to me, and is very delicately executed. This set could also be useful for other subjects with the same radar fit. 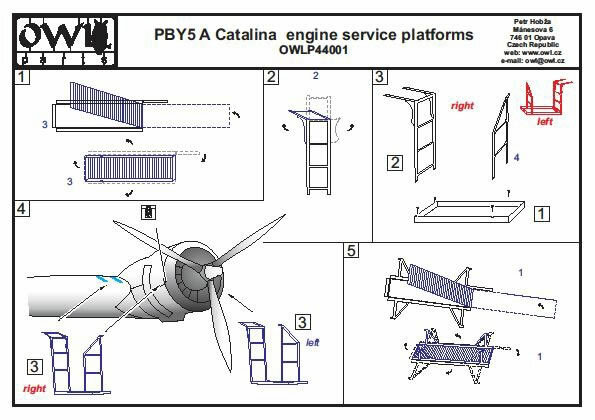 These are well-produced PE sets that should appeal to PBY fans, and might suit some other aircraft types as well.